Imperial Chinese guardian lions have long been an essential in any tasteful garden. 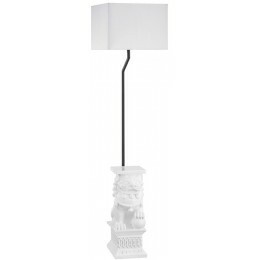 Our Wei Shi outdoor floor lamp offers a full update to this classic genre, pairing a modish, highly durable silhouette with a beautifully hand-molded "Foo-Dog" base. 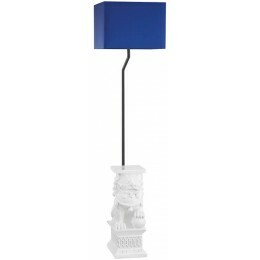 Choose a Bright navy blue or Pure white shade.